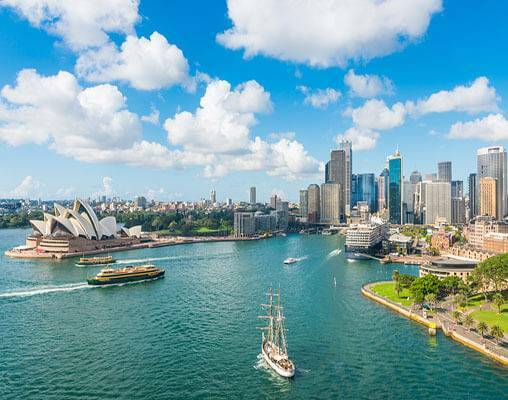 From Sydney, Australia's largest and most famous city, to Perth, Western Australia's capital city, this tour through Australia is a once-in-a-lifetime vacation. 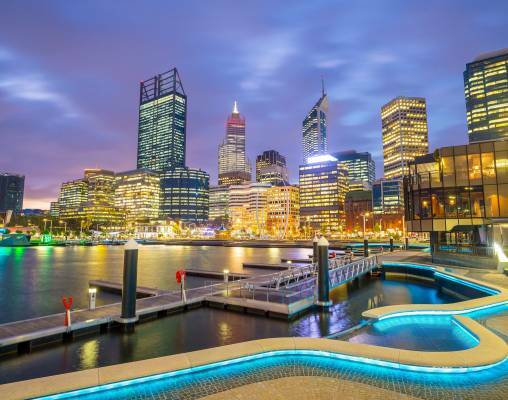 You'll spend three nights each in Sydney, Melbourne, and Perth; two nights in Adelaide; and two nights aboard the Indian Pacific train traveling across Australia. A highlight of this Australia tour is your train journey from Adelaide to Perth in Gold Service on the legendary Indian Pacific, one of the world's few truly transcontinental trains. 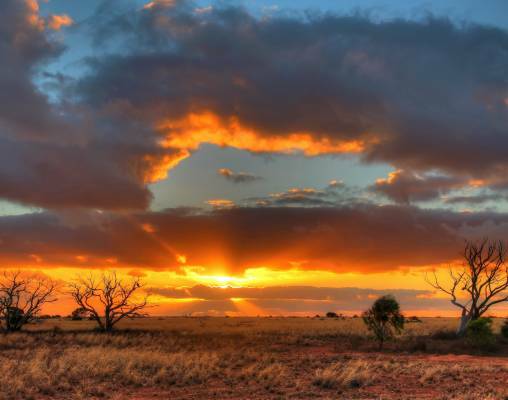 On the world’s longest straight stretch of railway track, sit back, relax, and marvel at the changing landscapes as you travel through the Nullarbor Plain, offering a glimpse into Australia's remote region. Enjoy dinner under the stars at a remote and beautiful outpost that borders a “small” sheep station of 2.5 million acres. 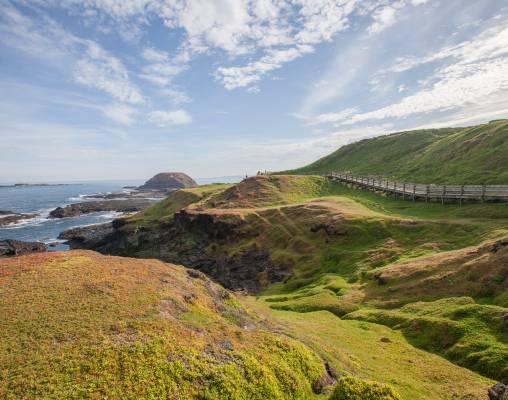 Other highlights of this Australia tour include an excursion to Kangaroo Island to see Australian sea lions, koalas, kangaroos, wallabies, and New Zealand fur seals in one of the world's last unspoiled habitats. 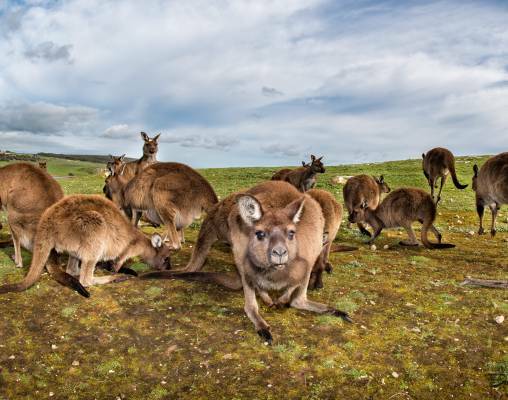 In Adelaide, wander among kangaroos, wallabies, emus, and water birds at Cleland Wildlife Park. 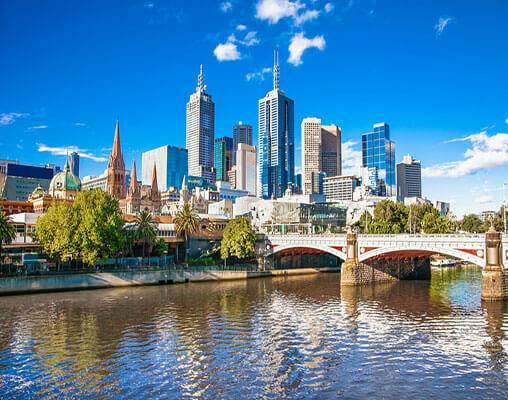 Explore Melbourne on a walking tour through the city's famous lanes and arcades and cruise on Sydney Harbour. The Indian Pacific train takes you across Australia and is considered one of the world's longest and greatest train journeys. Experience this fascinating train journey in the comfort of Gold Service, featuring private overnight sleeper cabins, a separate restaurant car, and access to the gold Lounge, the perfect place to gather with friends to enjoy a drink as you marvel at the spectacular Australian Landscape. The Grace Hotel, Sydney; Novotel Melbourne on Collins, Melbourne; Majestic Roof Garden Hotel, Adelaide; Novotel Perth Langley, Perth. Enter your details below if you would like to be notified when 2021 dates and prices are available for Across Australia by Train. Prices are correct at the time of publication, however are subject to change at time of booking. All prices are land-only, per person based on double occupancy. Airfare from your US gateway and intra-vacation air segments not included in pricing. Required intra-air segments include Sydney/Melbourne and Melbourne/Adelaide. Airfare is additional to the base price of the tour. 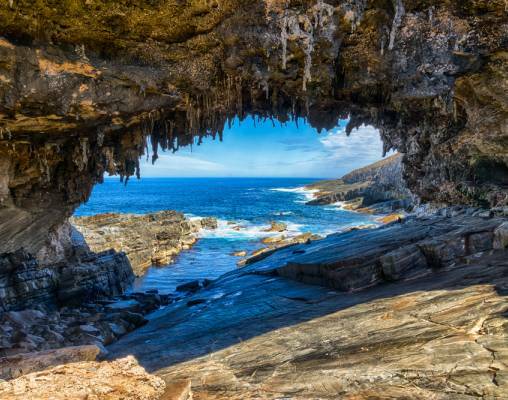 When planning your trip, allow 2 extra days before tour start date for travel from your gateway to the South Pacific.